I attended a retail tech conference in New York City last week called GrowCommerce and was happy to see there were many women in retail and e-commerce speaking there. According to a blog post by Veronika Sonsev, one of the organizers of the event, this was by design. In fact, this year the GrowCommerce team worked hard to feature as many women in retail tech speakers as possible. And, as the co-founder of the Women in Retail Leadership Circle, that’s good news to me! What’s even more good news is that GrowCommerce’s hard work worked: Sonsev said that women represented 43 percent of GrowCommerce’s speakers and 50 percent of its keynotes at the event. 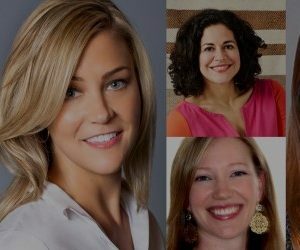 Speakers included Miki Berardelli, CEO, KidBox; Prama Bhatt, vice president of e-commerce, Ulta; Bree Casart, vice president of e-commerce & digital marketing,West Elm; Julie Daly, vice president of digital commerce, Ashley Stewart; and Jessica Jacobs, director of marketing, Wayfair. Why the push for women speakers at a retail tech conference? GrowCommerce and the Women in Retail Leadership Circle have similar goals in this regard. While our key mission is to help enterprise-level women in the retail industry learn, connect and grow, we also believe it’s important to feature as many successful, motivated and passionate women in the retail world as we can on our website, in our e-letter, on our social channels, and at our events. We too believe that visibility gives rise to opportunity, and the more senior retail women we highlight and celebrate, the more senior retail women there will be! More Girl Talks News! Happy First Day of Summer! Get Ready for Girl Talks! Crocuses, Tweeting Birds, Longer Days … and 20 Inches of Snow?